S-POP UP TACKLER - Rae Crowther Co.Rae Crowther Co.
Now you can get the best of both worlds, the patented S Pad shape with a Pop Up sled base. 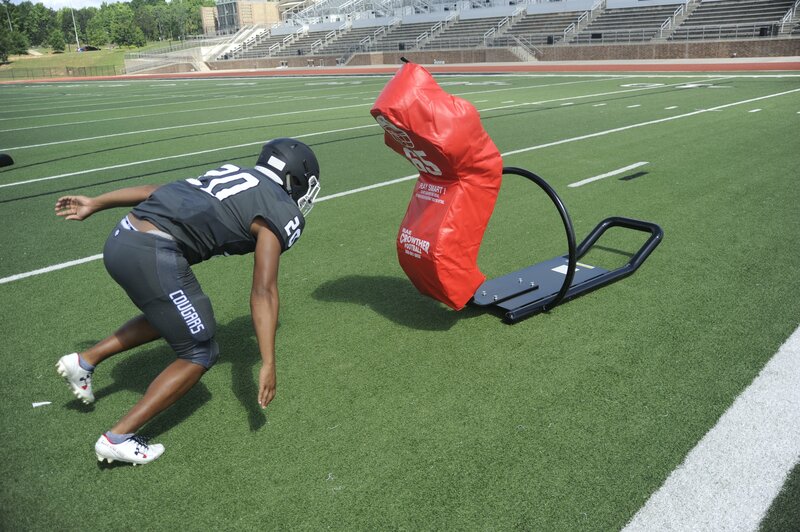 The Pop Up frame allows more reps in practice, as the player or coach does not need to upright the sled. The sled pops up fast! Simply tackle to the ground and let the sled return upright in seconds, ready for the next rep. Some offenses are going to throw 70+ plays a game at your defense, thus tackling and conditioning have never been more important. Good, consistent tackling is the key to stopping offenses, and ripping through the S-Pad with authority in practice translates to fewer spin offs in the game. The metal S spring is surrounded by foam. The S-Pad has a protective twopart cover that is removable for storage. 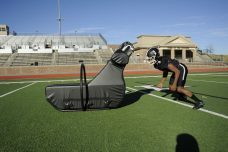 Overlooked is the fact that the S Pop Up Tackler is a great strength and conditioning sled. 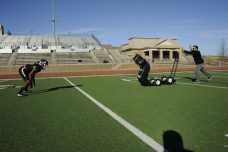 Driving the sled for yardage (30 to 100 yards) is difficult and directly related to becoming stronger in a football position. Every muscle is strained while in a dynamic hitting or blocking position. The sled incorporates a strength and aerobic element while also enhancing mental and physical toughness. 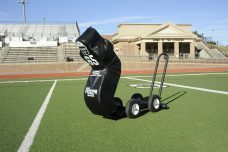 The sled weighs 215 lbs., an ideal weight for high school football. For collegiate and professional teams you can add additional 45 lb. plates to the weight horn on the base of the sled. Powder coated in black. Metal frame is fully welded for durability with a 5 year warranty. S Padding has a 2 year warranty.